While Commissioner Bartlett was off seeking adventure and supplies in Mexico, the surveying and mapping parties, led by Lt. Amiel Whipple and A.B. 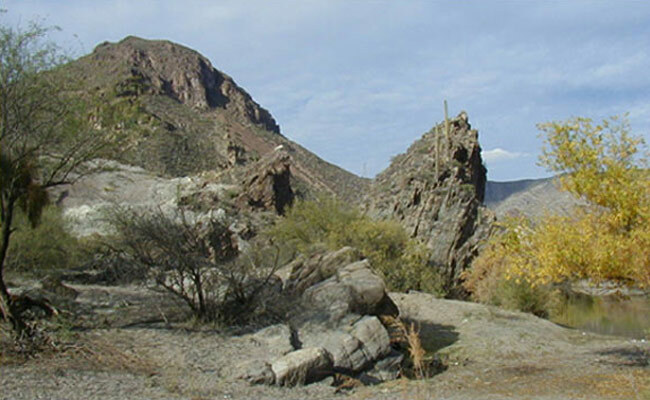 Gray, began the Arizona section of the survey on the Gila river near where the town of Safford is located today. 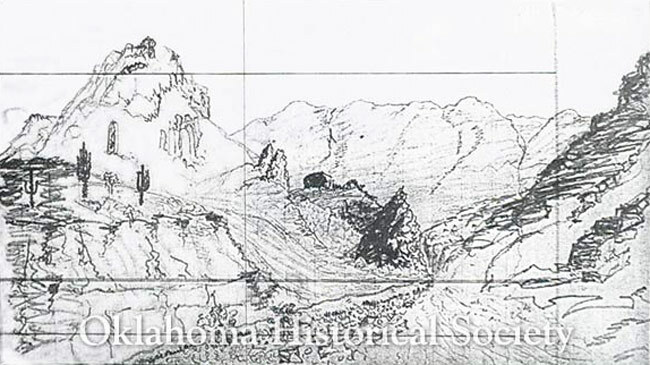 From there they surveyed downstream to the mouth of the San Carlos River, which was then called the San Francisco, and continued into the canyon which began a few miles downstream. About 4 miles below the future site of Coolidge dam they reached a wider area along the river and camped. Lt. Whipple sketched the area in his diary.